The highly anticipated Left 4 Dead / Left 4 Dead 2 DLC is finally headed towards PC’s, XBOX360’s and MAC’s. The Sacrifice brings many things to the Left 4 Dead world, one of the better ends of the deal being the “No Mercy” campaign from Left 4 Dead being ported to Left 4 Dead. Not to mention that the Left 4 Dead players get an extension of the story line as well. 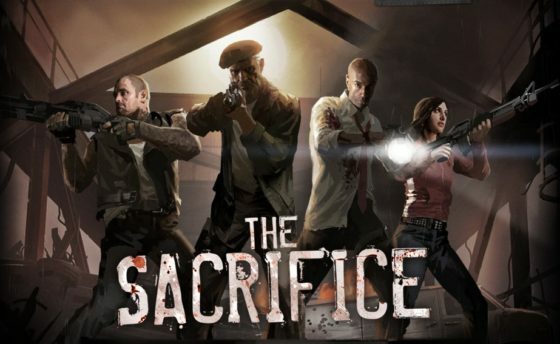 The Sacrifice out lines the prequel to the events leading up to “The Passing” the previous DLC in which the Left 4 Dead 1 survivors meet up with the Left 4 Dead 2 Survivors, well all but one of them. The Passing outlines the story of how that came to be, Left 4 Dead players will replay a stage in which the survivors are making a final run for it but fall short when they find out that it might end up leading to them sacrificing one of them. Another great addition to the game is melee weapons for the players of Left 4 Dead and Left 4 Dead 2 Special Infected make an appearance in Left 4 Dead. Normally it should be Bill who can be sacrificed but Valve thought it would be more exciting if the players could choose who should be the sacrifice. While letting Bill be the sacrifice WILL give you an achievement in the game you can choose other players to be the sacrifice and hence give Bill a second chance at life Of course the sacrifice will have to die but the saying “take one for the team” definitely applies here. Here is the trailer to the upcoming DLC, while the game will be free for download on the PC/MAC it will cost you Microsoft Points on the XBOX 360. The DLC will be available for both Left 4 Dead and Left 4 Dead 2 making it double the treat for those of you who want to return to either game. The Passing left me feeling that there should be more to the story and now with The Sacrifice the story is finally complete, I finally have a reason to bring back both my games back from the dead.